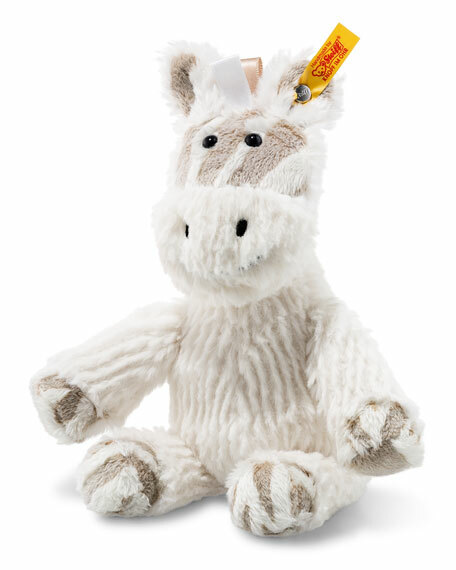 Steiff "Stripie" zebra plush is sumptuously soft yet durable and washable. Signature "Button in Ear" with yellow tag. Seated position with stitched nose and mouth. For in-store inquiries, use sku #2303071.